It's been a while since I wrote. 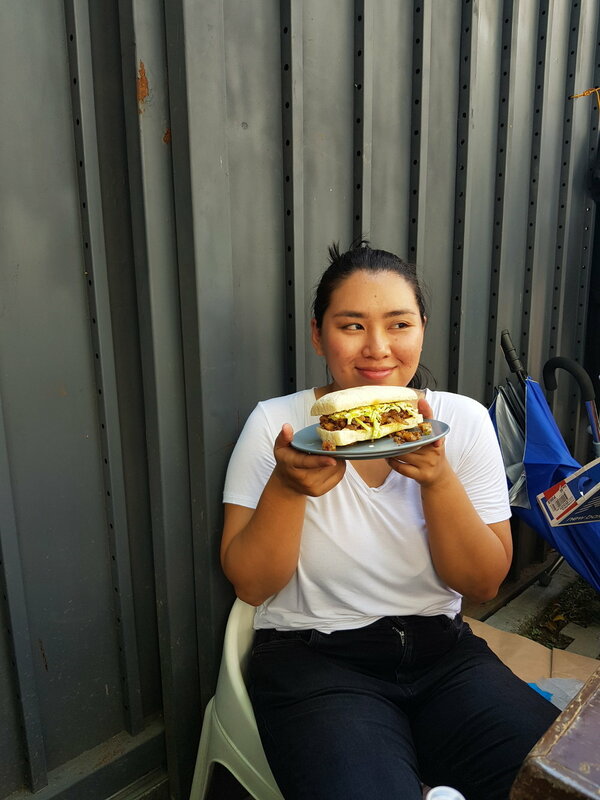 What better way to write about something than to start talking about Bobby's job at this cafe in Cubao called Hustle Café. The opportunity came to us less than four months ago when we saw their job posting on Instagram. It said they were looking for leads on who would want to apply as a head cook in the place. I showed it to Bobby and he jumped on the opportunity! Just love how he felt like this was a sign. He wasn't really in a good place at the time. In fact, he was at the crossroads - and Hustle was something the Universe suddenly presented to him which gave him some clarity! He went to the interview, and nailed it - and now, my bb is the cook there yay! What Bobby (and I) found appealing was the heart of why they established this in the first place, and that he was given room to be explorative and fun with recipes. Here, he can practice culinary creativity and experimentation. He can create dishes from the heart, and have time to learn from the partners who own the café. Back in 2016, JCI Manila created a program called Project Opportunities Cafe that would help out of school youth train to become baristas. They wanted to provide individuals who are financially-challenged an avenue to build their skills, and become competent baristas that can join the work force. However, they also needed an income stream where they can fund this advocacy project. Hustle Cafe was born - starting as a pop-up which sold cold brew. Now, it's a specialty coffee shop in Cubao. 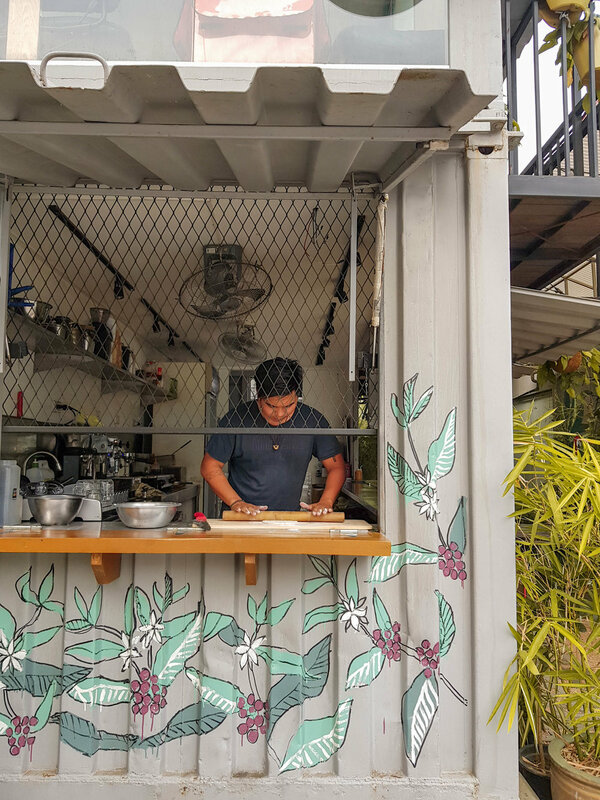 Their kitchen is housed in a shipping container. 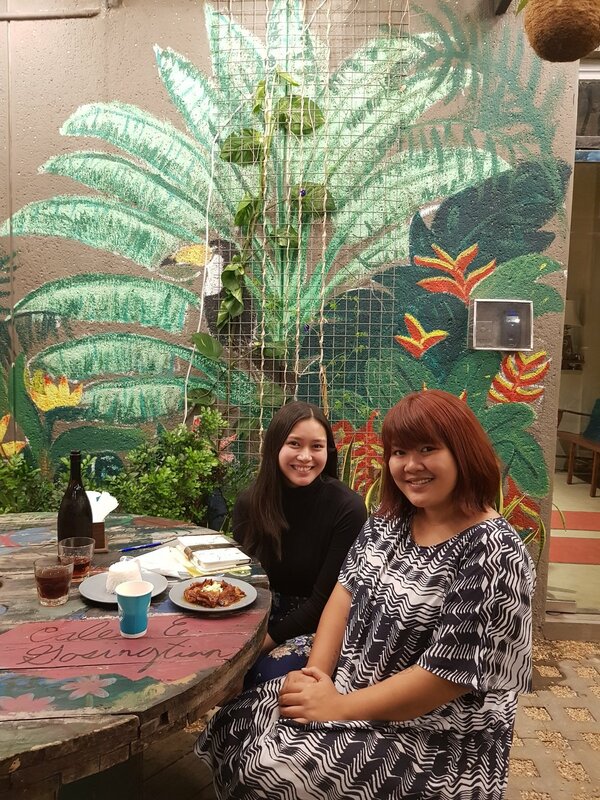 There's an al fresco, garden-inspired dining area you can hang-out in. Their choices of drinks vary ~ from matcha latte, to frappes, cold brew soda, cold brew and even horchata (a fave). Their food is so good. The Chicken Poppers with Salted Egg Sauce is my usual. I just love how the two components go so well together (just like Bobby and I HAHAHA joke). But I've come to love the Pork Samyupsal and Karaage Chicken, ohhhh and their Grilled Cheese Sandwich! What I love most about the place is that it's a quiet nook away from all the chaos. It's an outdoor area, and personally prefer it because there's a smocket there (sorry, lungs). It can be a bit uncomfortable especially when it's too hot, or when it's raining. Good thing they have a fan and some shade outside! They also have a socket so if you're used to working in an al fresco set-up, then go here! You can ask help from Bobby or Jender if you need to borrow an extension cord! When I have to work outside, I usually hang out here. I'm so productive, okay? Like I can finish so much tasks and work non-stop, which is good. Plus, writing posts here is therapeutic. Walang istorbo. I also love how Bobby and I can spend more time together that that's just us. I mean, we love family time, but sometimes you need to find time alone with your partner to have meaningful conversations, or to just nourish your relationship. So even if it's a few minutes, we make the most of those times. I think I've brought too much friends to the area. HAHA. 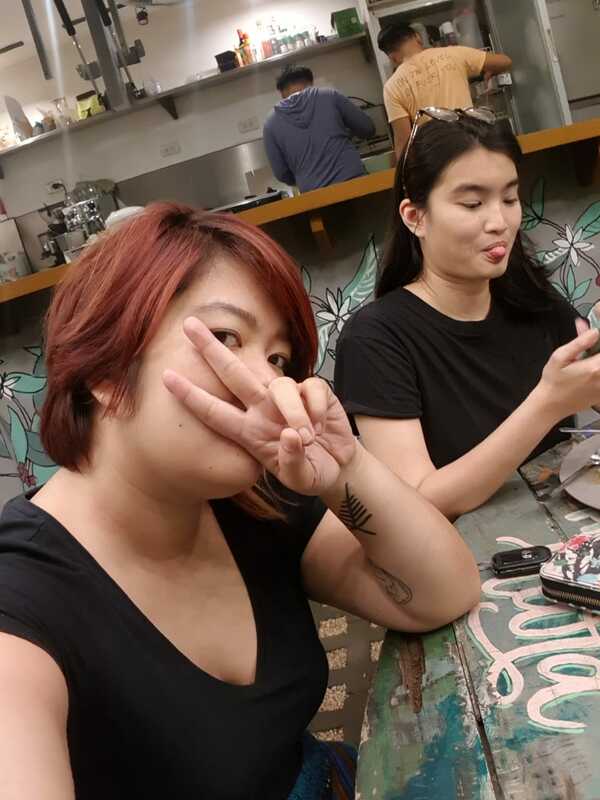 I mean, I really make it a point to tell my friends about Hustle Café 'cause I really believe it needs to be on the map ~ plus good food and coffee for a relatively good price is something we won't say no to. However, if there's one thing I would like to change about it though, it's to relocate the Lalamove peeps away from the entrance of the café. Hustle opens around 2:00 PM but don't be surprised if you see a bunch of Lalamove drivers there. 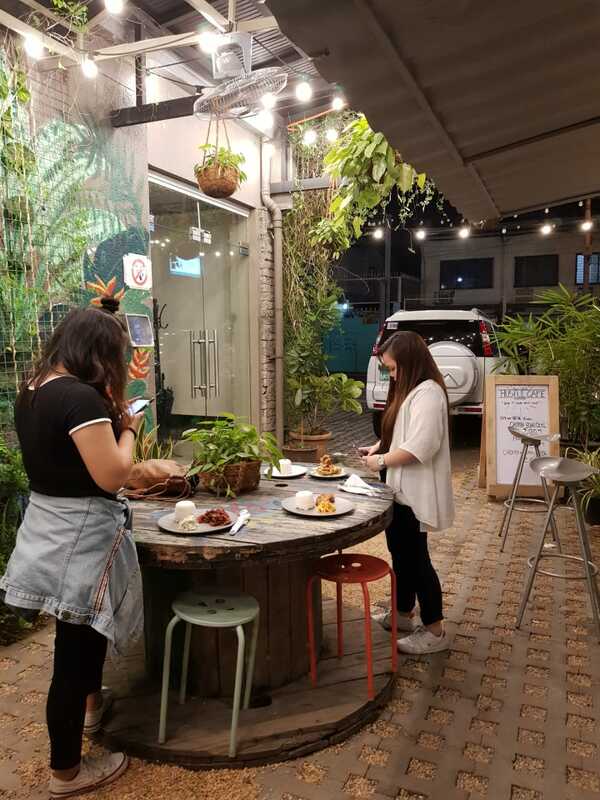 Well, I can't blame anyone because Lalamove's office is above the café, but I wish there were stricter implementations so that the drivers can wait in a particular area within the café's vicinity, or maybe the drivers should follow the rules the management has tried to establish. I mean, it's not so hassle, but at opening time, you might not see Hustle from the sea of drivers in front. I didn't know how to help him. If you know us, you'd know that Bobby and I have completely different ways of going about problems, of finding solutions, or whenever we get stuck. I'd suggest ways that didn't necessarily work for him. So when this came, when he felt the urge to apply, then take the offer, I saw something spark in him. Something that I haven't seen for a while (at the time). He had a newfound sense of hope, drive, and motivation to work towards his personal dreams, and his goals and aspirations for our family. I could see him in his element again. And trust me when I say this but before all of this, I really missed the Bobby that was so driven, so in love with his craft. Working at Hustle has rekindled the flame, and has lifted his spirits! If you don't see things eye to eye, give your partner some time to decipher things for themselves. You can't always spoon-feed them. Even if you feel the need to, or if you just want to. If you and your partner are deciding whether or not s/he should take the job, discuss and sleep on it. If your partner isn't feeling motivated, don't say things to put them down. I've always been the type to exhibit tough love, but it doesn't work on everyone. If you are unsure of life, open up to your partner. Talk to them, and have the patiennce to listen. Be supportive in what they do. Trust them with their decisions, because at the end of the day, it's their life. Things will fall into place eventually. So there, this ends my lengthy post on Bobby getting a job, and all the things we love about Hustle Café. Leave us some questions if you have! !